At Oliveira Audiology & Hearing Center, we understand you need a reliable audiologist to provide you quality hearing-healthcare and accurate hearing evaluation services in Laredo, Texas. We believe in personalized care for each individual patient, resulting in the best course of treatment for everyone in the family. If you or someone you love is having difficulty hearing, an evaluation conducted by our licensed professionals will give you the answers you’re looking for. We ask that in preparation for your evaluation, you compile a list of both supplements and medication you currently take to ensure we have all the information we need. The next step is for our audiologist to conduct a visual examination of your ear canal and eardrum. Using an otoscope, we’ll check to make sure there’s nothing in the way, such as an obstruction or wax, that will limit the hearing tests. We also look for abnormalities that might indicate the need to see a physician. After discussing your medical history and conducting a visual exam, our audiologist will complete a series of tests that serve to give the audiologist information about different parts of the hearing mechanism. These tests will determine if you have loss of hearing, a possible cause, the extent of the damage, and what we can do to help. One such test is Otoacoustic Emissions (OAEs). We often use OAEs for pediatric hearing evaluations as it is appropriate for all ages, including newborns. During this test, a probe placed in your ear puts off a sound, the amount of sound that comes back is then measured. 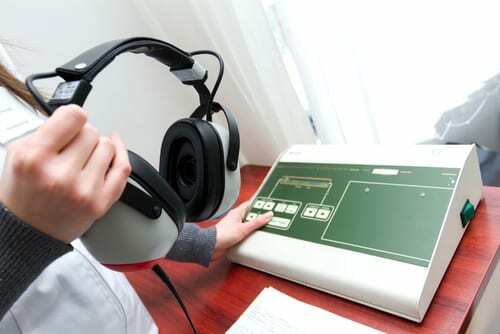 This measurement determines the ability of your cochlea (inner ear) to hear correctly. When testing is done and we have a diagnosis, we’ll discuss our findings and treatment options with you. Some cases may include seeing an Otolaryngologist for medical treatment and others may include a hearing aid evaluation. Your treatment will be specific to your test results. Visit Our Hearing Evaluation Doctors, Today! For more information about hearing evaluations for children or adults, or to schedule your appointment, contact Oliveira Audiology & Hearing Center. in Laredo, Texas. We look forward to assisting you throughout your hearing evaluation! © 2019 Oliveira Audiology & Hearing Center - All Rights Reserved.